Sometimes the coffee is in the details like the icing or maybe a creme filling. Many of your favorite coffee beverages such as the caramel macchiato have been elevated from the drink form into a delightful cupcake. Chocolate, vanilla, and many other flavors typically paired in espresso + milk form are superbly inspiring for the home cook or pastry enthusiast alike. We've selected some of the most interesting and flavorful combinations of the cupcake and the cup of joe. Some are vegan, gluten-free, or paleo, while others are just to die for decadent. 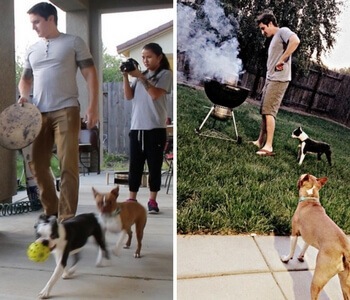 See which ones are irresistible and which ones would be perfect for dare I say… a birthday party. 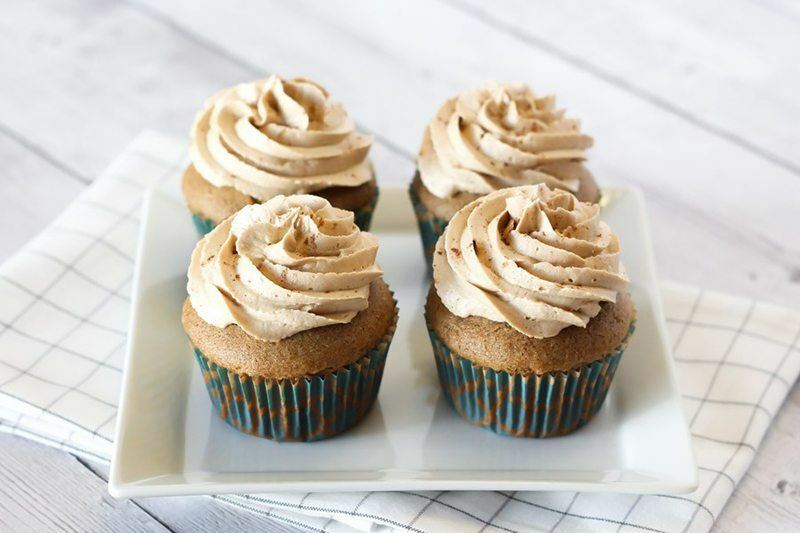 This one is a Starbucks fan favorite, and when you just need a caramelly-coffee infused kick, these cupcakes are sure to please. Be sure to add the caramel sauce drizzle, or it won't be complete. 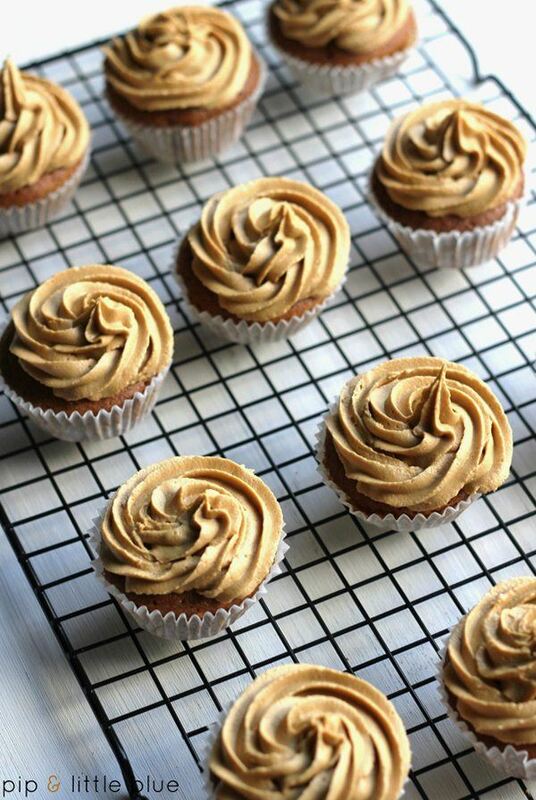 Using a coffee syrup to make sure they stay springy and fresh, enjoy these cupcakes with the real deal for an extra treat. 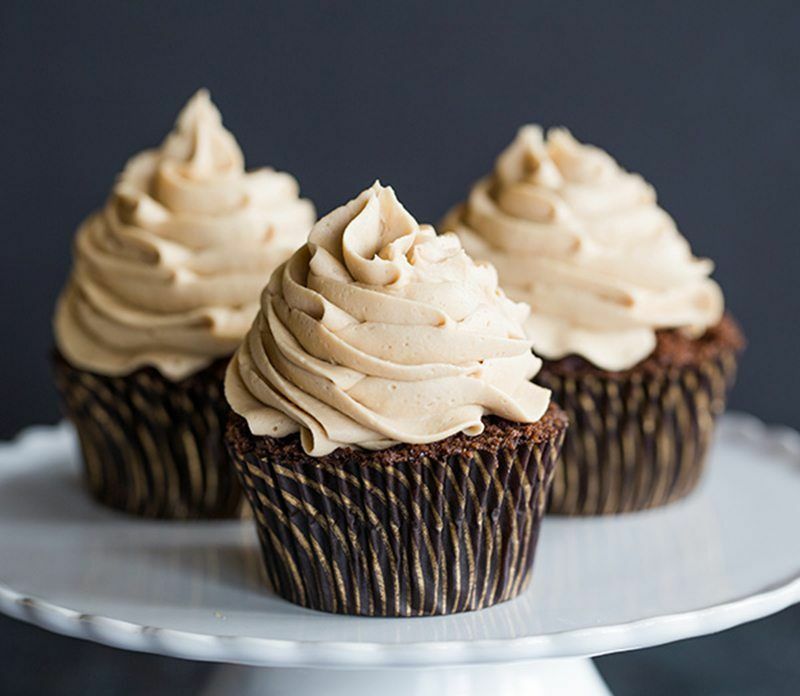 A classic take on the coffee and chocolate combination, these mocha cupcakes are even better with the espresso buttercream frosting. A mocha is hot chocolate with espresso and these are no different. 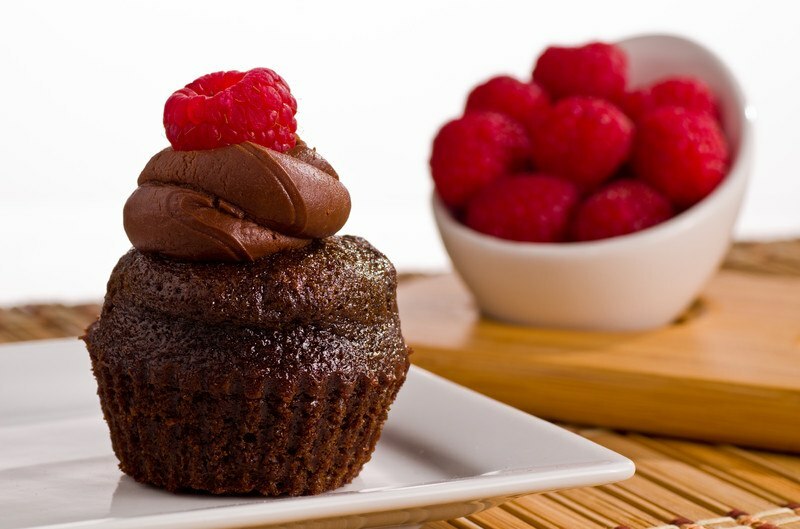 The baker says that these cupcakes strike a balance between light chocolate flavor and creamy coffee. She suggests icing them with a 1:1 ratio of cake to frosting since it is so smooth and easy to pile on and eat with relish! 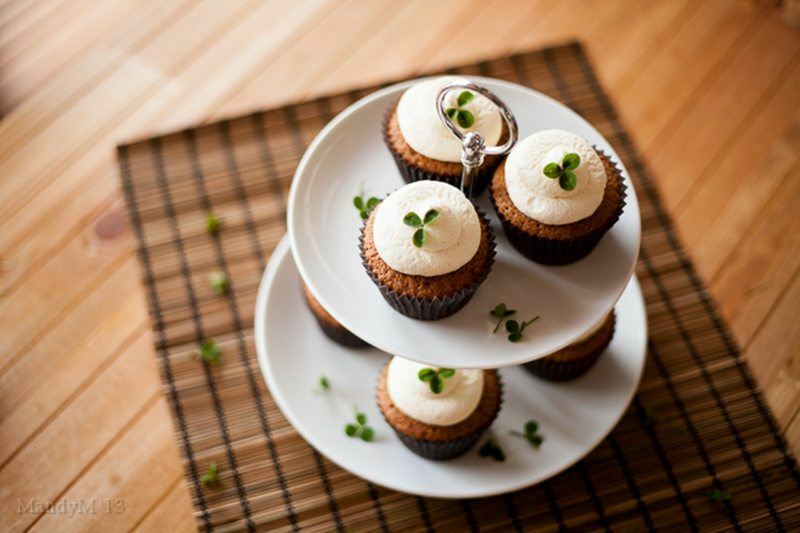 Hailing from Dublin, Ireland, these Irish coffee cupcakes are the real deal. The author suggests using Jameson Irish Whiskey for the whipped cream frosting, but you can also skip it to make these without the boozy buzz, or cheat and use your favorite bourbon or whiskey that you have on hand. The cake itself has powdered coffee and chocolate to go with the whipped cream topping. I highly recommend decorating them with the little green clovers to make these well suited for St. Patrick's Day. 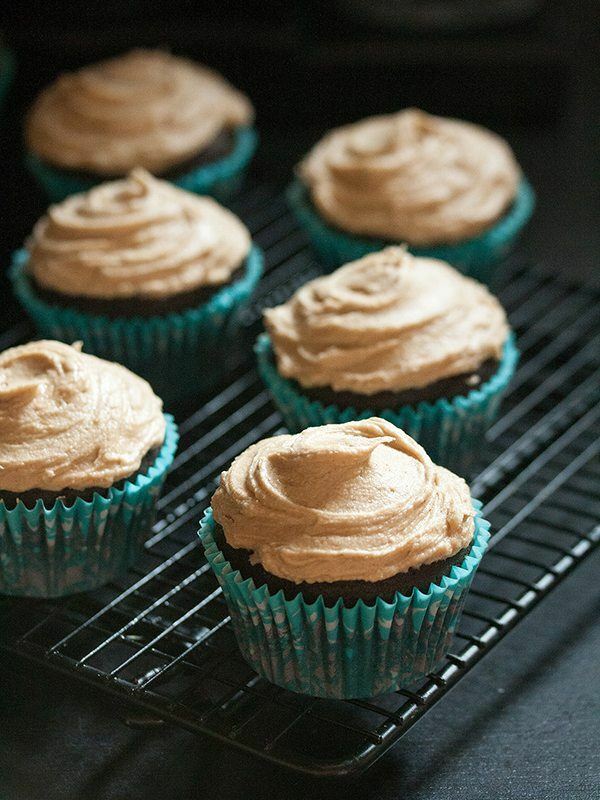 If you aren't as keen on lots of frosting, these cupcakes are coffee-inspired without being over the top. Secret ingredients of vanilla and buttermilk add complexity in an otherwise simple recipe. Topped with a dusting of powdered sugar, and a drizzle of espresso syrup for richness, these are great for an afternoon snack. Claiming perfection is no small exaggeration when it comes to baking. See for yourself when you try this conglomeration of espresso and intense dark chocolate. 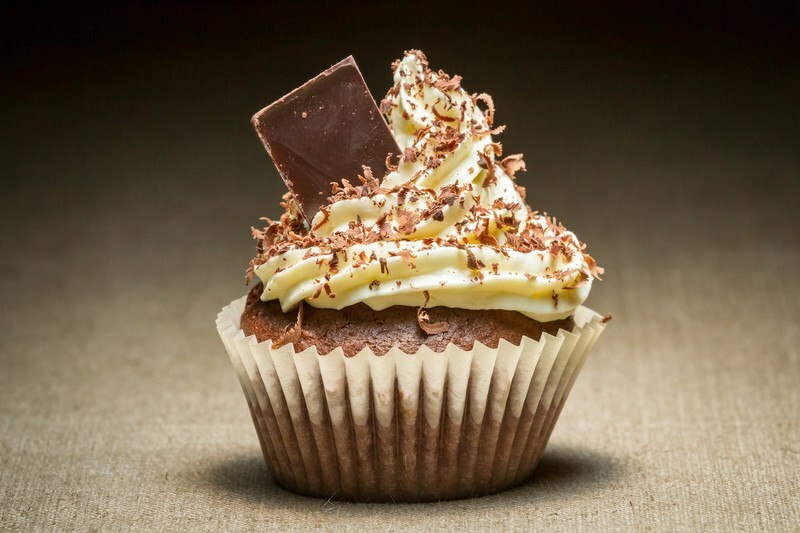 Even the buttercream is composed of dark chocolate, which is best served with a star tip on your icing piping bag. It adds texture to the sea of dark chocolate. On the other side of the spectrum, have some vanilla with your coffee. The fragrant combination of the vanilla bean and the coffee bean make for a subtle, yet refined, refreshment option. The frosting is enhanced by white chocolate instant pudding to keep the whipped cream fluffy over time. 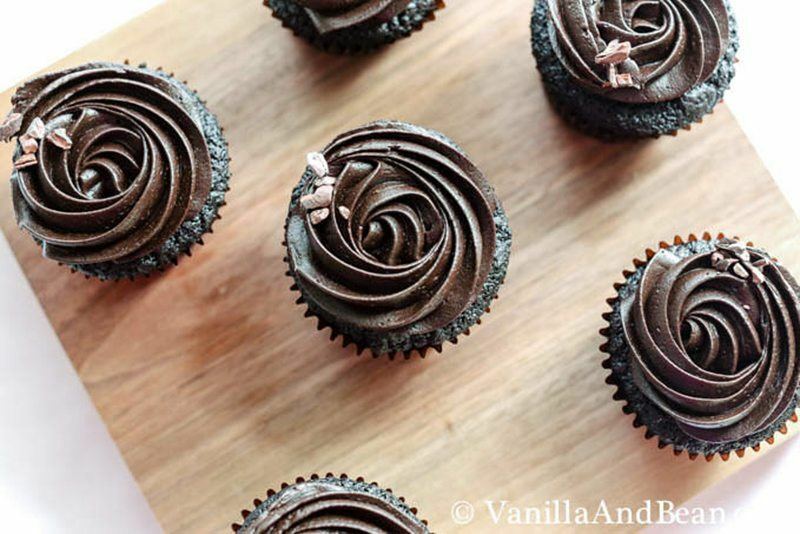 If vanilla is your true love, these cupcakes are just right. What is toffee nut exactly? 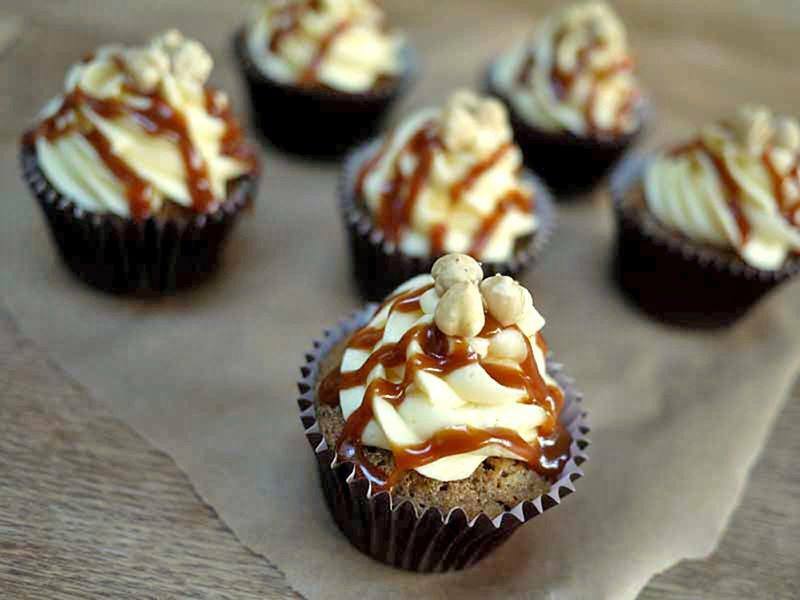 Well, it takes on the flavor of caramel and hazelnuts in this particular recipe. 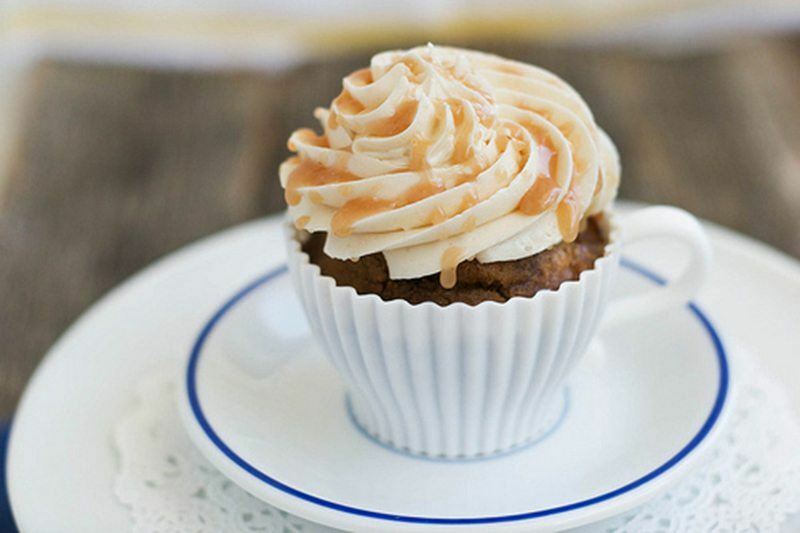 Homemade caramel sauce, coffee, candy toffee bits, and hazelnut syrup add to the symphony of complimentary flavors all in one cupcake. This would be excellent served as dessert with a little scoop of melty vanilla bean ice cream in our opinion. Espresso-spiked chai is a standard in most coffee shops, so much so that it is often on the menu outright. Although there's no telling why it got it's name, the merger has stood the test of time. These cupcakes are also gluten-free and vegan, as there's no need to be excluded when you want a baked good with dietary considerations. Savor the heady spice blend of cinnamon, cardamom, and ginger in these cakes, and sip with a chai, or coffee, or both! Hands down this recipe is as luscious as many of the others in this list, but it also happens to be vegan. Picture layered chocolate cake, chocolate ganache, toasted almonds, coffee buttercream frosting, and a chocolate covered espresso bean like a cherry on top. These are definitely for special occasions, but you could tone down the toppings and serve these for a more casual affair. It might seem heretical to have a recipe on this list that doesn't actually have coffee as an ingredient, but boy does it look like coffee. 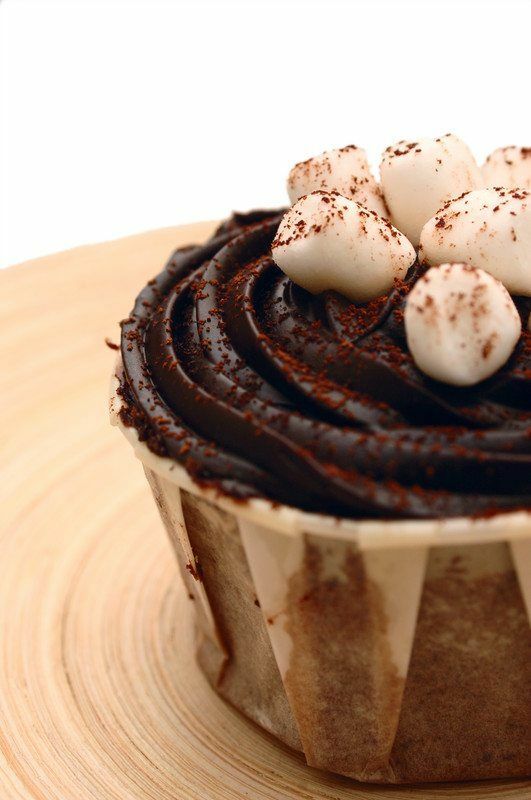 Coffee in a cup to be exact, which is what these s'mores cupcakes imitate. The ‘cup' is formed from white fondant, and the ‘coffee' is chocolate sauce. These are an oddity, but will delight those in search of whimsy and those who don't want any real coffee in their ‘coffee'. What is more delicious than coffee and chocolate? Why not add raspberry filling to the mix! Using a knife to remove part of the cupcake to make room for a quick jam, these cupcakes are finished with a smooth chocolate ganache. You can hide the burst of raspberry goodness, or you can leave it as part of the decoration. The choice is yours, but they won't last long! 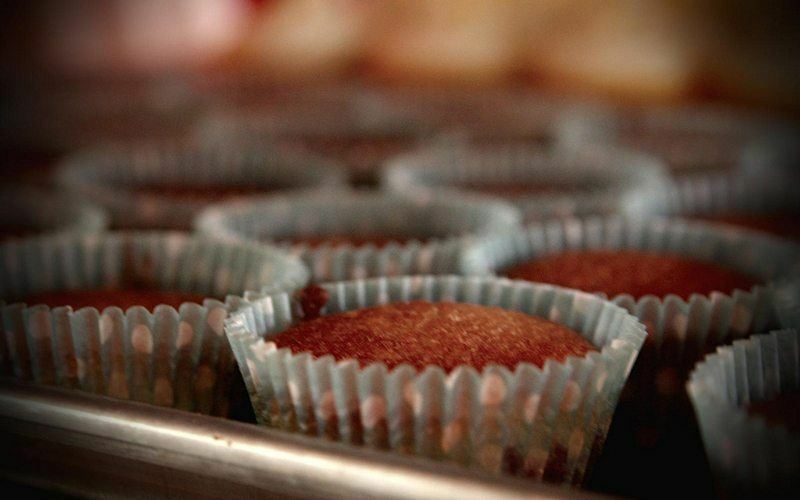 These cupcakes are chock filled with coffee essence. Even the icing takes on flavor from instant coffee powder, but is creamy and lush with the addition of melted white chocolate. If you enjoy coffee, but aren't as into the obsession with chocolate, satiate your craving with this alternative. They suggest using a coffee and chicory blend of instant coffee, which is popular in New Orleans as a nutty additive. You can substitute other coffee powders if you can't find this particular variety. 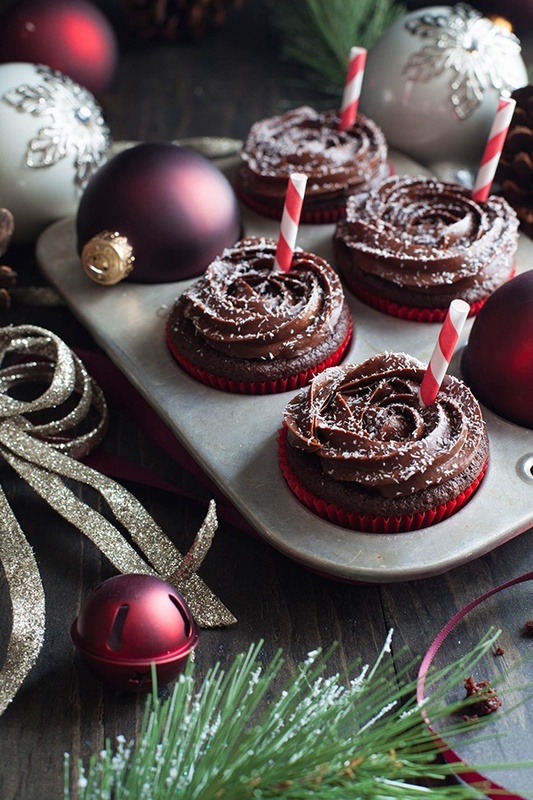 A sweet take on the holiday classic, these peppermint mocha cupcakes are dainty additions to the holiday party and happen to be following the Paleo diet. Using almond flour and coconut-based products as the base of this cake, the finished product looks like snow covered heaven. Tickle your cravings with a satisfying and yummy take on the coffee house favorite.